I won't toy with you, I'll get right to it- does it work? You bet! I was very much a non-believer, but this cloth is kind of magical and really does work to remove makeup sans-remover. 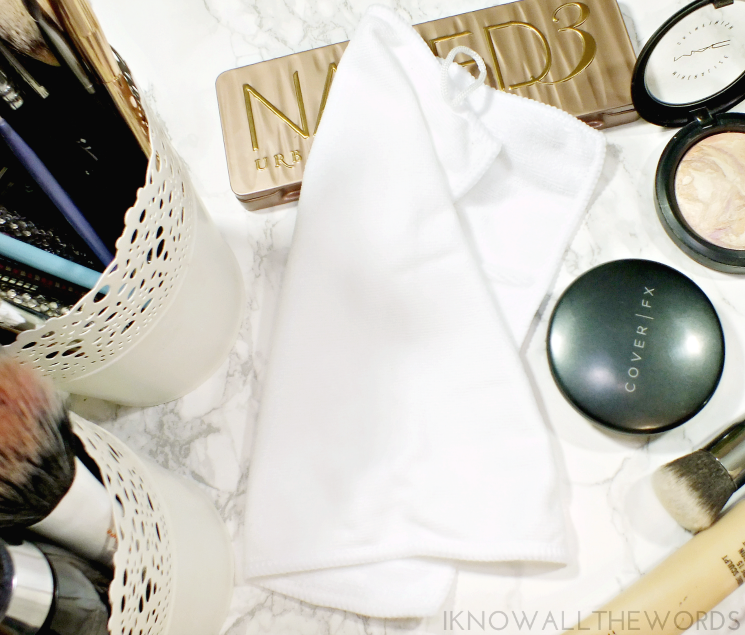 The cloth works with just a bit of warm water, and removes all makeup- foundation, mascara, liner, you name it. I was wearing a long-wearing liquid lipstick the first time I tried this and it even removed that without much effort. The secret of the FaceOff Cloth is the weave of the fabric. While the microfibre cloth is super soft, you can feel a the texture. The texture, when combined with warm water, is able to breakdown makeup. 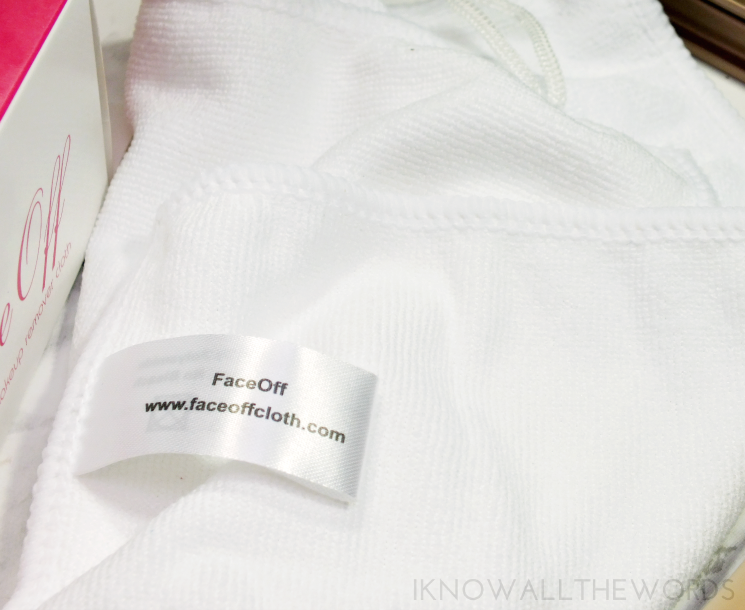 I really didn't expect to like this, but the cloth leaves my skin perfectly free of makeup. It's incredible. The cloth needs to be washed after using, but it can also go in the washing machine (with no bleach or fabric softener) and is supposed to come completely clean. I washed mine by hand with Dr. Bronner's (always almond, btw) and did find the cloth came 90% clean. My mascara and lipstick did stain. Overall, this is a great beauty invention! Am I still going to use makeup removers and cleansers? Yup, but, I will add this into my rotation too. 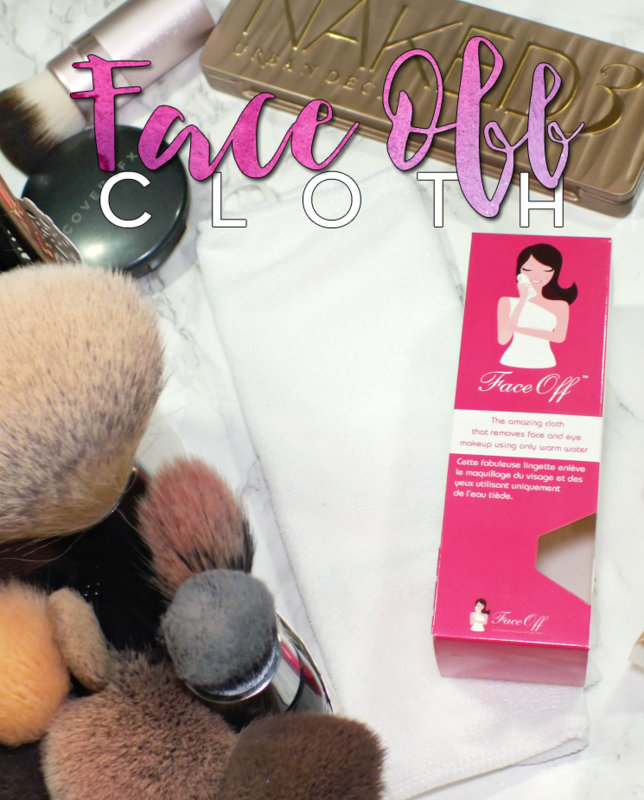 I love that it's a one and done type of product- I don't need to use three different products to remove my makeup if I don't want to and I can get the process done really quickly with the FaceOff Cloth. Sometimes you wan the whole elaborate process and sometimes you just want to get it done so you can crash. It's also a great option for traveling, as you don't have to worry about bottle sizes and spilling liquids. What do you think? Could you ditch your products? Have you tired anything like this?